This quilt features fabrics from the Heartland collection by Jennifer Brinley for Studio e. This quilt also uses fabrics from the Peppered Cottons collection. 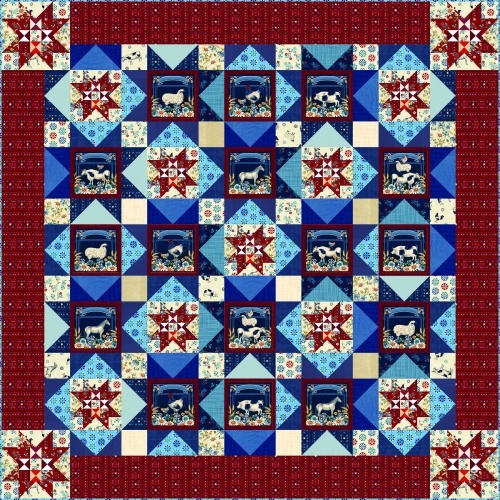 The quilt has many blocks in it, with 16 of them featuring a farm animal. You'll also create many triangles, most of which will contribute to the beautiful stars throughout the pattern. The pattern comes with easy-to-follow instructions that will help you through finishing this quilt that feels like home.